The aim of the study was to evaluate the effect of air pollution in the dwelling place during childhood-adolescence on respiratory function in early adulthood. 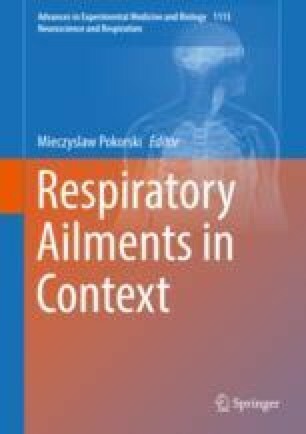 The study was conducted in 220 female and 160 male university undergraduates in the cities of Cracow and Wroclaw in Poland and consisted of spirometry to assess lung function. The subjects’ exposure to pollution during childhood-adolescence was assessed from the data acquired by the Polish Chief Inspectorate for Environmental Protection. We found differences in all spirometry variables depending on benz[a]piren exposure, in FVC% and FEV1/%FVC depending on PM2.5 content, and in FVC% depending on NO2 content. Statistically significant differences in spirometry variables were also found in relation to the degree of urbanization of the place of living during the early life period in question. The higher the urbanization, the higher is FEV1% and FCV%, and the lower FEV1/%FVC. Additionally, undergraduates of Cracow University had worse lung function compared to those of Wroclaw University. In conclusion, air pollution in the dwelling place during childhood-adolescence has an impact on lung function in early adulthood, independently of the current exposure to pollutants. The study was supported by a grant from the Faculty of Biology and Earth Science, Jagiellonian University in Cracow no. DS/MND/WBiNoZ/17/2017.